Coming in early 2018, I will be announcing a commercial lab verification service that will allow CBD oil and dietary supplement companies to place “Lab Verified” labels on their products and websites, backed by ISO-accredited laboratory analysis that relies on high-end mass spec instrumentation. * Accurate quantitation of CBD, CBDA, THC and other compounds typically found in hemp extracts. * The absence of toxic solvents and extract chemicals that are frequently used in the industry even though they may pose a very real danger to consumers. Some hemp production companies, for example, are currently extracting hemp products using isopropyl alcohol (IPA), which is extremely toxic to the human body when ingested. * The absence of toxic heavy metals, and the presence of nutritive minerals such as zinc and magnesium. 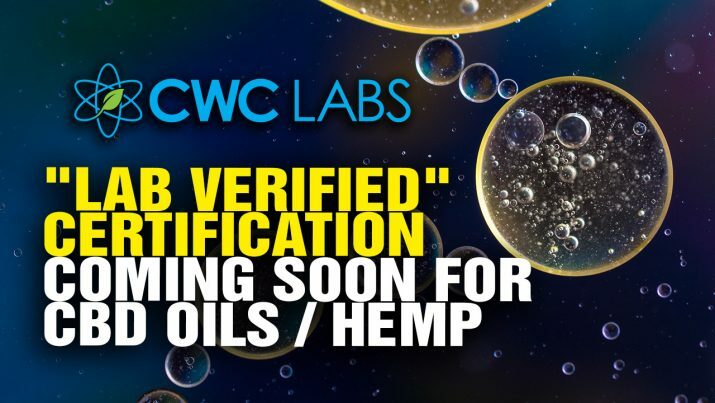 “Lab verified” certification coming for CBD oils and hemp extracts from NaturalNews on Vimeo.